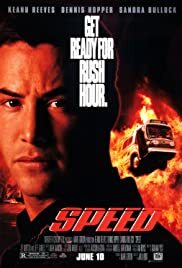 116 min [ Get ready for rush hour ] - Los Angeles SWAT cop Jack Traven is up against bomb expert Howard Payne, who's after major ransom money. First it's a rigged elevator in a very tall building. Then it's a rigged bus--if it slows, it will blow, bad enough any day, but a nightmare in LA traffic. And that's still not the end.